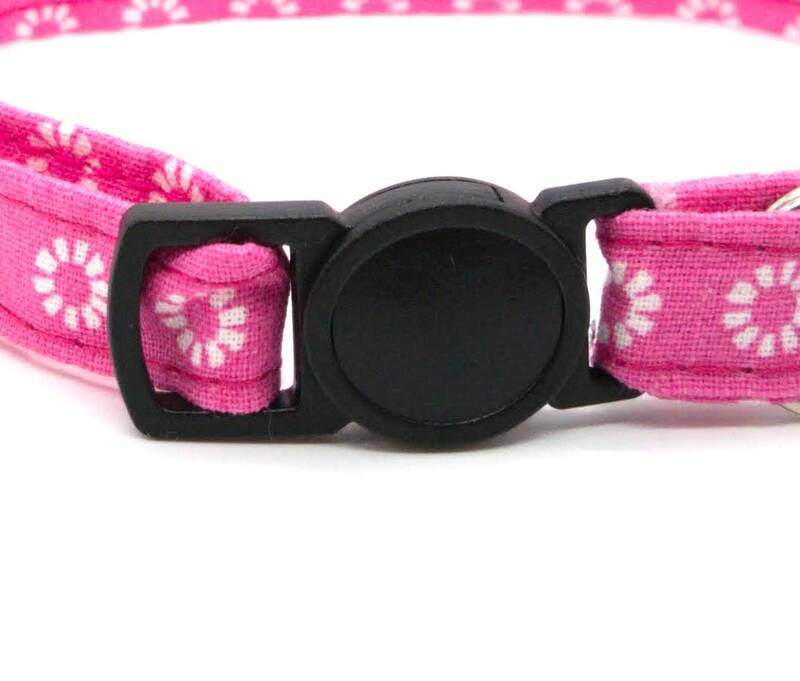 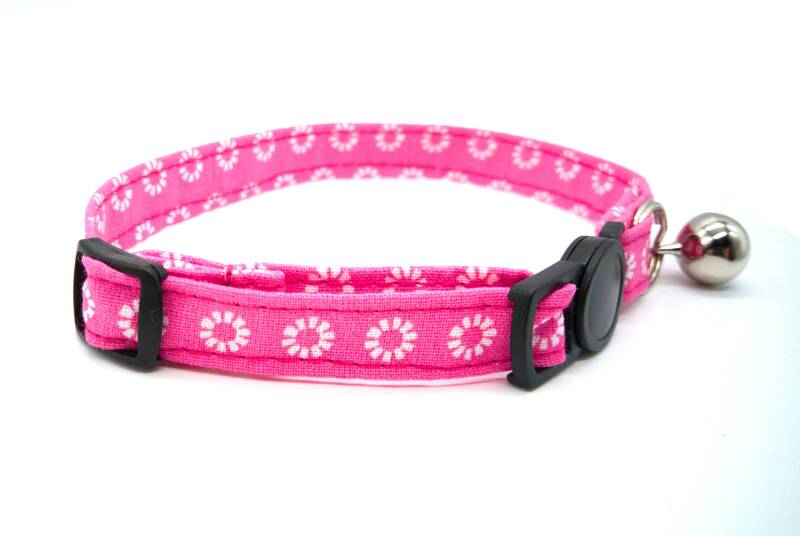 Cat collar in pink metro daisy flower fabric design. 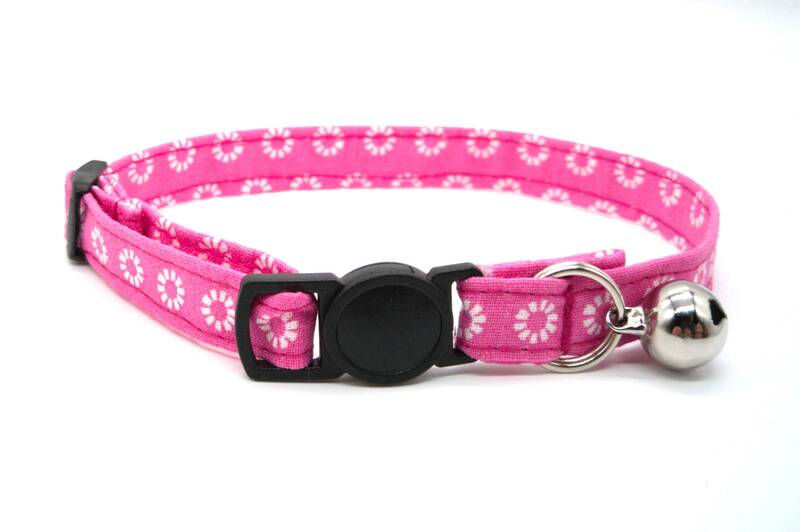 Lovely quality collar. 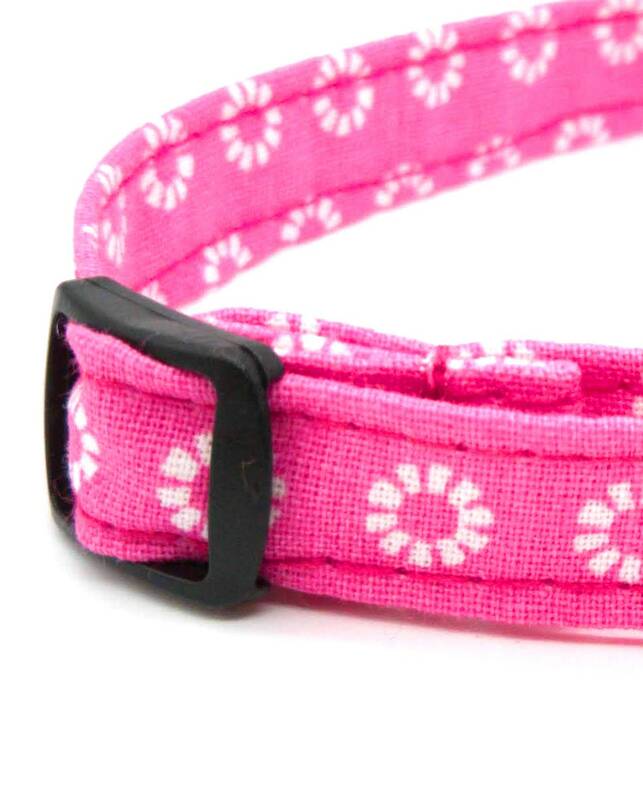 Bright fabric.